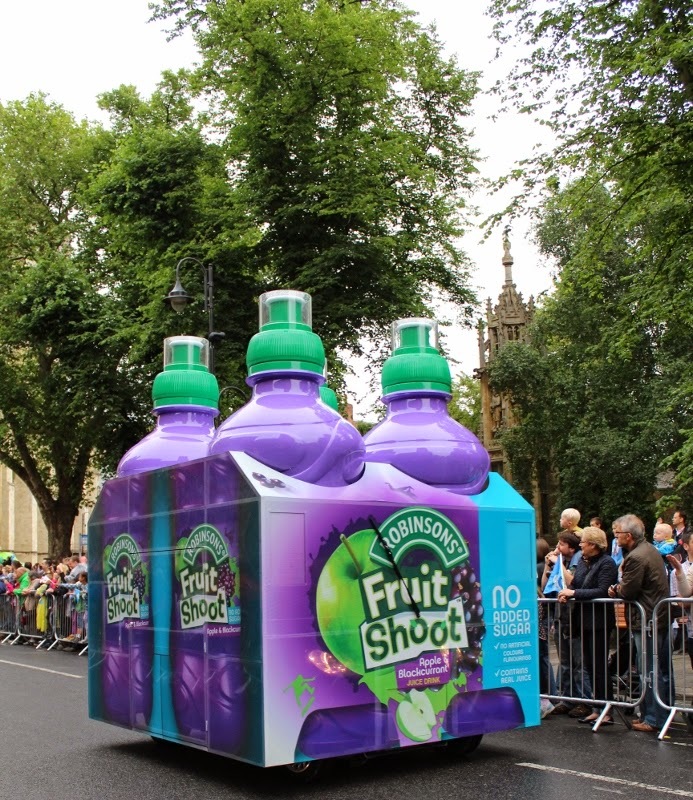 Of all the Tour sponsor's floats this one caused the most amusement as it passed by. Funny, but I do wonder how they can see where they are going. Must have been exciting to see them all whizz past Deb! I'm also wondering how the driver manages in that thing!